From past few days, I was getting socket errors while trying to access Google, Gmail or other Google services on Google Chrome. This began after I upgraded to latest Google Chrome. I was able to access all websites on Firefox or Internet Explorer. It means there is some problem with Google Chrome. I love Chrome to after some research I was able to resolve the error. I also found that this is the known issue in Google Chrome and there are so many other people like me who have been facing this issue from past few days. This is the simplest solution and you do not need to restart your computer to access Google or Other Google services on Chrome. Press CTRL+SHIFT+DEL. It will open a popup window for clearing browsing data. 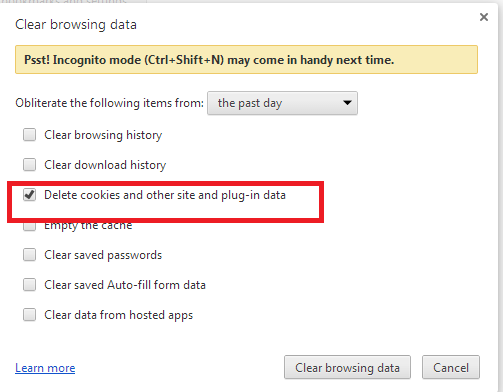 Select “Delete cookies and other site and plug-in data” and then click on “Clear Browsing Data” button. Now you will be able to access all Google websites without any problem. But this is not a permanent solution. And you may face the same problem again. 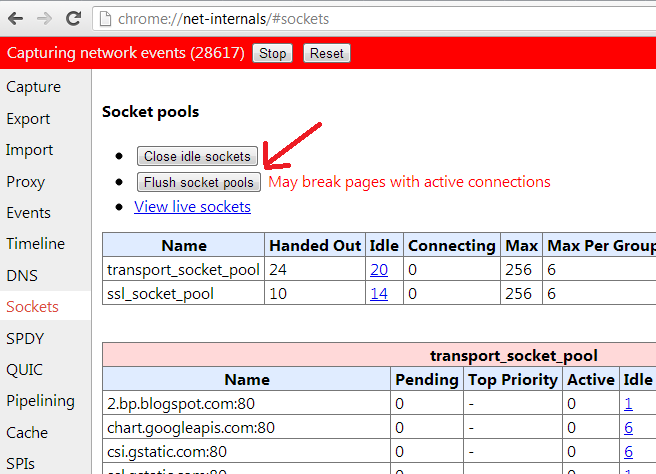 In chrome address bar, type chrome://net-internals and then switch to socket tab. here choose Flush Socket Pools. Now you will be able to access Google, Gmail and all other Google websites that were showing this error. After trying this, I did not face the problem again but not in case of you. If the problem comes again, follow the same.